You may think that the battery powers the electrics in your car, but that’s not the case. The battery provides electricity needed for the starter motor to start the car. When the car is running, the alternator generates energy to feed the electrical system and charge the battery. The alternator used to be called a generator, and it works in a similar way. In this case, a car’s internal combustion engine spins pulleys under the bonnet, which turns the pulley on the alternator and creates energy. 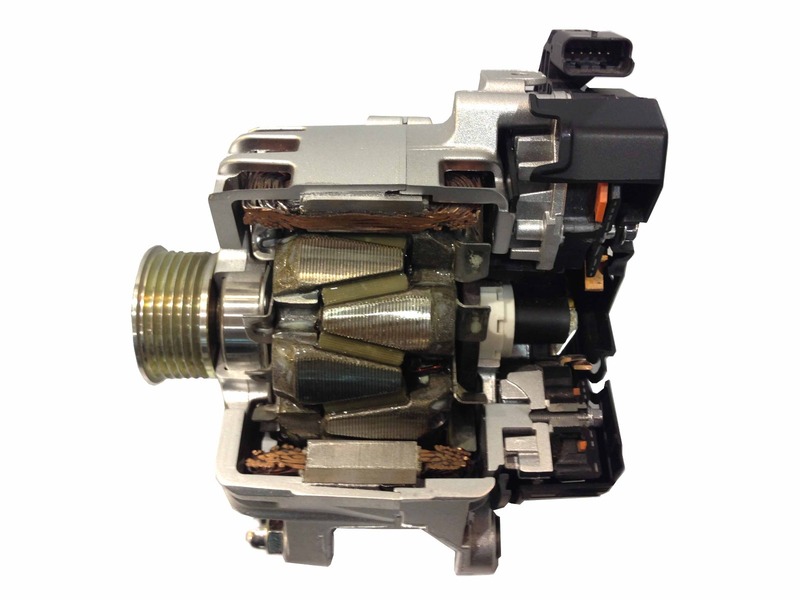 An alternator works together with the battery to supply power for the electrical components of the vehicle. 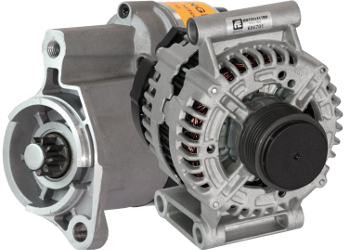 The output of an alternator is direct current (DC). When the alternator pulley is rotated, alternating current (AC) passes through a magnetic field and an electrical current is generated. This is then converted to DC via the rectifier. Advancements in technology have meant that alternators have changed vastly in the last 50 years. Originally, alternators were only used to generate current which was controlled by an external regulator. The introduction of a built in regulator, in the 1990s, used the warning light to excite the alternator and start the charging process. Many modern vehicles adopted a load request type charging system with the introduction of smart charge systems and CANBUS systems which are now widely being used. These systems are controlled by the vehicle Engine Control Unit (ECU). As the vehicle demands more load the ECU sends a signal to the alternator requesting it to start charging. The alternator has to cope with varying electrical loads and adjust its charge rate accordingly. These days it is easy for these types of alternator to be mis-diagnosed faulty if a charging fault is experienced on the vehicle but more often than not, no fault is found with the alternator. The voltage regulator controls the amount of power distributed from the alternator to the battery in order to control the charging process. Regulators are designed with different functions and work depending on their specification. The rectifier is used to convert current from alternating current (AC) to direct current (DC) during the charging process. The rotor is the spinning mass inside the alternator that rotates via the pulley and drive belt system. The rotor acts as a spinning electromagnet. The Slip rings are used as a means of providing direct current and power to the rotor. The bearings are designed to support the rotation of the rotor shaft. The stator consists of several coils of wire wound through an iron ring. The stator sits outside the rotor, when a magnetic field is created the electrical current is made. The pulley is connected to the rotor shaft and the drive belt system. Rotation created by the engine the drive belt system turns the pulley beginning the charging process.